Where luxury meets rehabilitation. Our approach involves one-on-one treatment and on-going evaluative techniques. We are not only specialized in orthopedic physical therapy but our service extends to cancer rehabilitation and pelvic floor wellness for men and women. A highly qualified doctor of physical therapy provides individualized attention for the entire duration of the treatment session in the comfort of a private treatment room. Dr. Nasr is the former Clinical Director of the Physical Therapy Clinic at Morgan Stanley Corporation. Dr. Nasr graduated from Cairo University in 1992 with an honors degree in Physical Therapy and gained his doctorate degree in Physical Therapy from Nova Southeastern University in Fort Lauderdale. Dr. Nasr is an internationally licensed doctor of physical therapy and has achieved advanced levels of clinical experience through work and educational experiences in Egypt, New Zealand, Australia, and New York. Dr. Nasr's philosophy of any physical therapy treatment begins with listening to the patient and understanding the patient’s long-term goals. To ensure a thorough assessment, Dr. Nasr combines his skills and experience in biomechanics, evidence-based rehabilitation and clinical expertise to identify the patient's dysfunction. Also, with utilizing manual therapy techniques, therapeutic exercise and physical therapy modalities, and an individualized plan of care is implemented to improve the patient's injury and well-being. 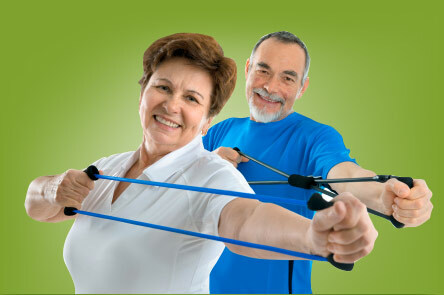 Physical therapy is concerned with maximizing quality of life and improving functional movement. Functional movement is central to general wellness. At Core Basics Physical Therapy & Wellness we offer rehabilitation, fitness conditioning, and athletic performance training. Our physical therapists provide one-to-one sessions for a full hour to deliver personal attention and professional care. Whether you are suffering from acute or chronic injury or following surgery, the rehabilitation process forms an integral part of your recovery. Your rehabilitation is important not just to recover from your injury but also to help stop it from returning in the future. 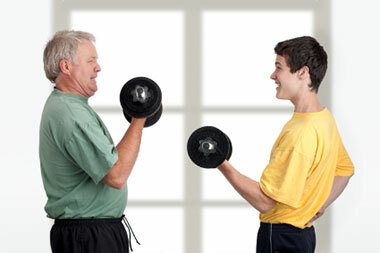 The assessment and rehabilitation process depends upon your level of activity and sport. It could be as simple as asking you to touch your toes but it could include asking you to perform some jumps or running on the treadmill. One of the most important parts of the rehabilitation process is that it is highly specific to you and your personal goals. Maintaining strength during cancer treatments helps to prevent or reduce the risk of complications (such as infection) and enhances the quality of life. Cancer and its treatment can cause debilitating side effects for patients, compromising their function and quality of life. Fortunately, research has shown that physical therapy during and after cancer treatment can help speed functional recovery, boost immune response, reduce fatigue and reduce risk of complications for people of any age. In conjunction with your medical team, the physical therapist works with patients and caregivers to maximize their physical abilities and comfort levels to ensure the most effective recovery. Your cancer care Physical Therapist can help maximize strength and function during and after cancer treatment by addressing each of these issues through hands-on therapy, education and exercise to increase your function and independence. What Core Basics Physical Therapy and Wellness offers? We offer patients a comprehensive line of services and individualized packages geared toward treating and bringing comfort to men and women with pelvic health diagnoses. We provide hope for conditions that are often seen as untreatable by practicing whole-person health with a focus on the mind, body and spirit. Research documents that a significant number of people with one or combination of pelvic floor symptoms may feel too embarrassed to discuss their sexual, urinary and bowel issues with their health care practitioners, thinking that they have to “live with it: or their symptoms are a “normal part of aging” . In turn, the health care practitioners did not ask the specific questions to discover if there was a pelvic floor problem. Many patients with pelvic floor dysfunction have consulted a large number of physicians in a variety of specialities, without getting relief or a clear understanding of their condition. This is due to the lack of medical schooling teaching the future doctors how dysfunctional muscles, connective tissues and joints can cause pain and disruption of pelvic floor function. Only in the recent 10 years have physical therapists, specializing in pelvic floor dysfunction, noted that tight, weak, spasmed, incoordinated muscles of the pelvic floor, lower abdominals, lumbar spine and hips were the primary cause for a wide range of pelvic floor symptoms. Real-Time Ultrasound (RTUS) is an emerging imaging modality in Physical Therapy. Rehabilitation of skeletal muscles is made easier with ultrasound imaging which provides an instant snapshot of your abdominal, back and pelvic floor muscles enabling you to activate them correctly, which is considered the base of any effective rehabilitation program. Real-Time Ultrasound allows both the Physical Therapist and the patient to see the muscles while they are working in real time. This immediate visual feedback improves ability to learn to control the stabilizing muscles, speeding up recovery and producing a longer lasting outcome. 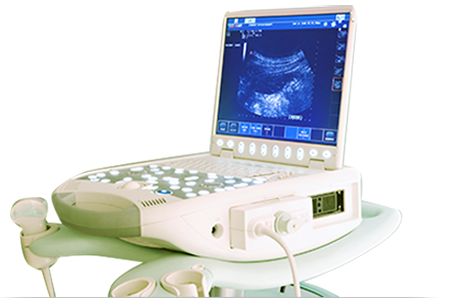 Using the Real-Time Ultrasound, your stabilizing muscle function will be assessed and you will be shown any deficiencies, if present. You will be taught the correct method and will be able to see the improvement occur in real time. Ergonomics considers the relationship between the worker, the actions or tasks inherent to that activity (job, school, play), and the environment in which the work is performed. When there is a mismatch between the physical requirements of the job and the physical capacity of the worker, musculoskeletal disorders may result. 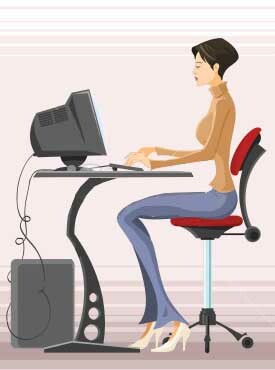 Ergonomics is the practice of designing equipment and work tasks to conform to the capacity of the worker. It provides a means of adjusting the work environment and work practices to prevent injuries before they occur. Certified Ergonomic Specialists evaluate the client's work or home environment. Functional training has its origins in rehabilitation. Physical Therapists often use this approach to retrain patients with movement disorders. Interventions are designed to incorporate task and context specific practice in areas meaningful to each patient, with an overall goal of functional independence. Functional training attempts to adapt or develop exercises which allow individuals to perform the activities of daily life with more ease and without injuries. Functional training involves mainly weight bearing activities targeted at core muscles of the abdomen and lower back. Most fitness facilities have a variety of weight training machines, which target and isolate specific muscles. As a result the movements do not necessarily bear any relationship to the movements people make in their regular activities or sports. A perfect complement to your rehab for any injury is Rehabilitative Pilates & Yoga Therapy. At Core Basics Physical Therapy and Wellness, we work daily with clients who are recovering from various injuries. The combination of the two is an excellent tool to re-educate muscle imbalances, re-train dysfunctional movement patterns and correct biomechanical problems. Working with your doctors Rehabilitative Pilates and Yoga Therapy gives you the best opportunity for functional recovery. Pilates and Yoga Based Physical Therapy at Core Basics PT is an approach to healing grounded in the moving body. We assess and treat the whole person - not just an injury or symptom - through Pilates exercises and traditional physical therapy methods. At Core basics PT, we are particularly adept at identifying and correcting problematic postural and movement patterns that can cause you pain. We believe that you can feel better when you move better. Please note that most insurance plans cover our services and, due to our unique services, authorization is often granted even if we are not listed as a provider in your plan. However, please allow us to verify your insurance coverage before your first visit. Self-pay option is also available. Referral by physician is recommended, but not required, unless needed for insurance coverage. © 2016 COREBASICS, Inc. All rights reserved.